Our last event at Fireworks Pizza was a big hit and it was great to see some new faces! This month we are planning on having some special guests from People Animals Love who will bring over the sweetest therapy dogs to help us unwind from the work week! This event is free and we will provide food and refreshments. You MUST rsvp by September 21st to attend. Our Connect4 Social Hour group is for young adults with or without disabilities ages 18 - 39. We hope to see you there!! 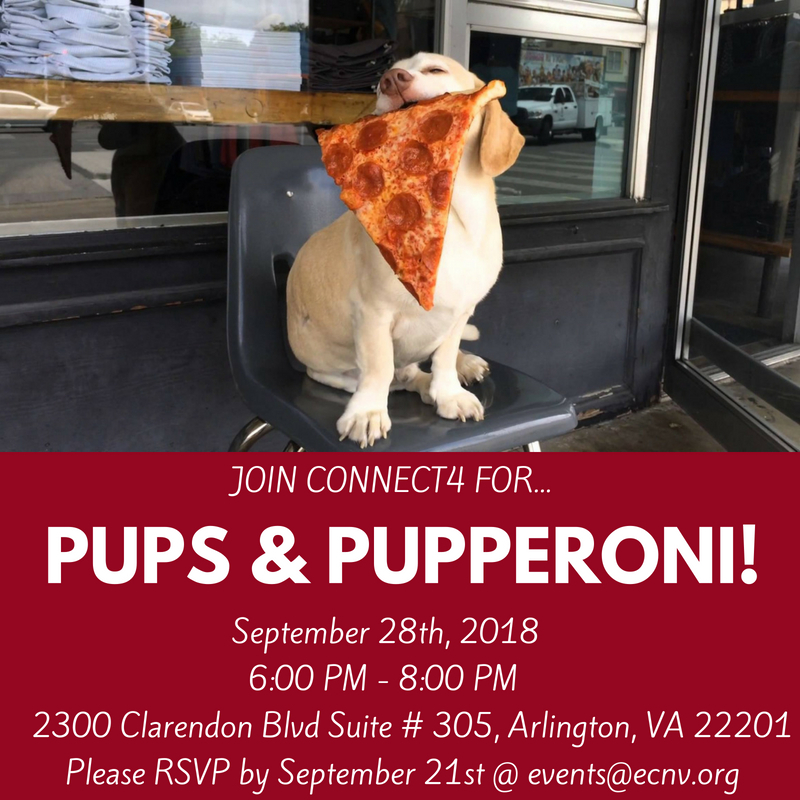 RSVP at events@ecnv.org no later than September 21st.